On Tuesday morning, the first thing I heard as soon as I woke up was that the old lady who lived four houses down the lane had passed away. Her grandchildren play with mine. S and I went to pay our respects and offer condolences. There are many rituals and customs associated with a Hindu funeral. When I went there, it was like re-living my dad’s funeral all over again. It has been a year and five months since he died. (In case you don’t know the story click here and also here.) But yesterday, when I saw all those rituals being performed it felt like going back into a horrible nightmare from which I have woken up. It just makes me think how fragile life is. How unpredictable it can be. Till now, such things were always things that happened to other people. You heard about them, but it did not affect you much. But once it happens to you, then you feel so vulnerable. I felt slightly better after I called two of my closest friends and cried about it. Then poor Prats asked how I was and I poured out my sad tale to her too. (It is very rarely that people see the sad side of me) She listened so patiently—most importantly did not offer pity or advice. Somehow I hate pity. (I hate advice too—but that’s another story.) I felt so much better after that chat with her. It is foolish to say “Don’t worry—nothing like that will happen.” Because that is simply being unrealistic. It can happen. That is why it is so important to really LIVE each day. That is why it is so important to click many many pictures. (Believe me, you will treasure them later) That is why it is so important to chase your dreams. That is why it is so essential to laugh and to not hold trivial grudges. It is also why it is so important to TELL the people you love, how much they mean to you. A friend always tells me “Live each day like it is your last. Someday you will most certainly be right.” I cannot agree more. After all, life has a way of pulling out the rug from under your feet when you least expect it. You may not be able to prevent that—but at least you can lie there, laugh, dust yourself and then walk on. You have done nothing? Then go, call up the ones you love (or give them a big hug if they are there with you) and tell them how much they mean to you. this was such a sobering post. for me personally. its so true that most of the time we are living in the regrets of the past or anxieties of the future. we are just not available to savour the present. i called my folks today and chatted with them. agree to it to the hilt. live every day to itz fullest, with full zest and zing. and dont leave space to regret in future. it may be your last day, so, leave it well and have fun when you can. WHAO!!! 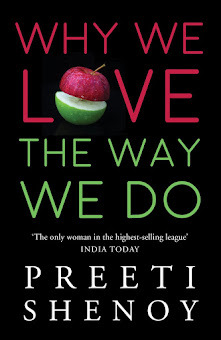 Preeti, I just loved what u wrote. m fighting back tears now. Its so true and scary!!! I totally understand what ur saying. I have been thru this many times. Death seems so far away. Only when someone close goes away, u know the vaccum it creates. (Thank God! I have been spared tat till now) Only when some one u remotely know are gone, u seem to acknowlede it! I have spent many nights crying, thinking tat m gonna lose my loved ones SOMEDAY! And tat 'someday' will be here before I cud say 'Gone'. But smthg good that have come outta this (ir)rational fear is that I have started valuing life n loved ones more. I have been more patient, more giving and more forgiving. I really dont want to wait and then regret. And this post of urs has only want me give MORE! hey thats a reallly good post...and i can understand that feeling.. Coz i lost my grandparents who were the ones who looked after me from when i was 6months old. lossing them both with gap of 1 and half years was too much. Ya there are so manyy things to remind us daily that life hav to be lived to the fullest ever moment. And now i am kind of phobiac abt if i will lose a loved one etc and delayin marraige...humm nice post anyway.. This post of yours is best appreciated and best enjoyed being a lurker, but being a staunch advocate of living the life rather than existing, I can’t help reiterating the importance of living. Life is like water falling in your palm from a tap and living the life is the act of drinking it that water. You may drink as much water as you want, but if you try to hold on to it not a drop of water will stay in your palm. Similarly life is meant to be lived, the moment you stop living or try to hold on to it merely existing, it flows out of you. I lost my dad a couple of years ago and the void still haunts me. Though he lived a complete life, a doubt still lingers within me whether I fell short on my care and affection towards him and pushed him to living longer. Death is the ultimate truth or destination and life is the path. If you cover the path with trees providing cool shades of care and flowering plants spreading frangrance of love and affection, your journey would be so pleasant that you will never know when you reached the destination and at that point you would not want anything more, like a person who has had a sumptuous feast. Just as a pleasant journey leaves you smiling and fresh when you reach the destination, make your life pleasant so that you smile at the end. It is said that he who chants “Aum” at the end of his life reaches directly at the feet of the Supreme and has no more births. 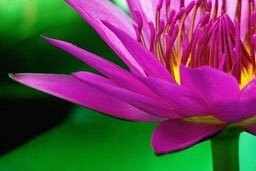 And to say that “Aum” your mind should be clear, fresh and contended at the end of your journey. Reading this post has really made me feel, I have lived today. A lot of hugs to you my dear. God bless you. I too lost my dad suddenly, that too when I was only 14 so I understand exactly what you say about life being fragile, unpredictable & vulnerable. But understanding it & living according to that understanding is a completely different ballgame. We get so bogged down by our daily routine that it is really difficult to LIVE, as such. Thanks for reminding all of us again how precious each & every moment is. Guru: Glad you did.I'm sure they value that call too. Xh: I guess you mean 'live it well' I don't know if it made any sense to you(somehow I think you are so young and therefore death is something so far removed)--If it did I'm glad. Pointblank:I guess we all need a good cry now and then--and after that we're ok! Enigma: thanks for reading--thanks for sharing.Losing a loved one is horrible, to say the least. Hari: God bless you too my friend. I guess the last words to say etc depends on what religion you follow or don't follow.An aethist and a rationalist could probably justify that saying a four letter expletive releases all stress! Who knows what th 'Truth' is..To each his own. But if one has lived life well, one dies contented. Palsworld: Thanks for sharing.Only when one goes through it one truly relates. Life is very short, and unexpected things happen when we least expect it, thats why i try to live every moment of it, savour every happiness, no grudges. Infact, i have started thanking God these days for giving me what i have right now. This is why I'm glad to be a stay-at-home mom. I couldn't possibly spend any more time with the two I love most. I am one of the people who constantly imagine terrible, heart-wrenching things happening all around me. I have played out every possible conclusion in my imagination. I don't think it ever makes you ready, though. Sort of wish I had taken mortuary science, as I am very interested in care of the body and that ritual, of all rituals, seems of paramount importance to everyone at some time. I agree, and i agree with Guruprasad too, i do spend a lot of time living in the regrets of the past or anxieties of the future, lately i am more aware of my state my mind and am working to correct myself fast enough so that i dont spend days wasting my time on the wrong things. Padma: What you wrote really moved me. (about calling up your husband and meeting your friend) You know, after dad passed away,many called on us to tell us that the greatest regret they will have for the rest of their lives is that they meant to come and see him, but they kept putting it off. Pink Dogwood:God--it moved me.One thing I never do is leave home after a fight.Always i make it a point to hug and kiss (even if i am really grouchy)--and funnily that makes the fight ok.
Julie: I know what you mean--and even I would never give up my work-from-home status for anything.The first time though I am coming across someone interested in Mortuary Science. Dr.Arvind: i am so glad you did.BTW--did you see that I had posted the scene from "life is beautiful'? And you are very right about that swami vivekananda quote. It's usually so unexpected and we are complety helpless to deal with death. Given that is it the only certainty we have, shouldn't society prepare us for that? I know it's morbid but it's just an idea. Oh yes, I did! Thats a movie! Thank you. you are so right - should never go to bed without resolving any outstanding conflicts. Great post btw, makes us all think and be kinder and nicer to each other. been coming across a few deaths tht took place juz last week. Life is indeed unpredictable. Great post. It is a gr8 post. Moved me in a strange way. I hugged my darling daughter, called my husband for no reason but to just hear his voice :) and promised a walk to my daughter even though it's gonna be one windy chilly one... :) thank u. Life is the most precious of gifts especially when one realises that it is so fleeting. I however could not live each day as if it were my last..to do so would probably kill me! Something that keeps coming to my head quite often. Living, means different things to diff. people. I think I lived my bit y'day. Work, Beer and gossip, a movie. No complaints!! J: True--Living means different things to different people.If I had to choose between Vodka and hugging my kids, I'd choose hugging my kids (and telling S that i love him) anyday. End of the day, if YOU have lived, good for YOU.It wont make an ounce of difference to those who do not care, but willl make a world of difference to those that care about you. Ranjini:Very very true. I'm doing good.How are you? Preethi: Somehow that windy chilly walk is appealing to me too! Sweetsticky: VERY unpredictable.Sounds cliched but its true. Pinkdogwood: Yes--it is so important yet so easy to forget! I am doing so much more living lately. I want as little regrets on my deathbed as possible. I want to have lived, loved, and done everything I could to make the world a better place. I am sad that you felt sad remembering your dad. Glad you allowed yourself a good cry for it too. I'm so happy I was there when needed and you don't have to thank me. I understand. After reading here...was thinking about how each one of us have our own way of telling the ones we care about, that we love them. It should be in our actions. There is no justice if we say something but never mean it at all....but if one is not an expressive person, he/she can still let the others know through his actions, through expressions and with one bright smile. WOW I had tears in my eyes as I read this post. U think sooo like me. 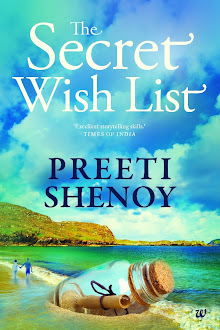 Just before I read this blog , I came to know that this morning, an aunt of mine whom I was close to,died.Although she was only 56, she was hospitalised for some time now,due to Kidney failure.What set me thinking after I read Preethi's blog was,How everyone of us comes with a role to play, delivers our part to the best of our ability, and then exit.As for this aunt of mine,she got married very late in life,had a daughter soon after, and died 2 months after her daughter's wedding. Some are the Fortunate few who get to play the Hero's role like your Dad. from the date of our birth the progress is towards death only, Whatever happens inbetween can be called as life,maya,samsara,drama ....blah blah blah. A question was asked to Sri Ravishankar, How does one cope up with the death of someone close to you?. He replied, You know, when someone very close to you, dies, there is a vaccum. This person was walking,talking,doing all these things, and suddenly, he or she is not there. A vaccum is created ... and time will heal it. Your understanding of the World,of Life,your broadened awareness, time or meditation-all these things-will help you cope up with the situation. Nice post, going through such situations will make us more strong and keep us prepared to face the reality. As silly as it might sound, this past week I felt I had lived because I wrote a poem. It was a poem for a friend about to get married and I was living through the words; most times, I write for myself, my own enjoyment, so, to write a piece for someone special to me just made me feel alive. Prats:Yes--I know what you say about some people not being expressive--but in their own ways they let us know. Keshi:In fact i was thinking about how you lost your dad too, that too when you were so young.No wonder you could relate! Fruitu: Wise words by Ravi Shanker.Thanks for sharing! Scotty: Strangely, on the days that i feel I have written well (be it a poem, an anecdote-anything, I too feel I have lived. I think its also because at a subconsciuos level we know that our words will stay long after we go.Who knows! Chitra:Observant you! yes--that was why i had not updated. So true,Preeti. When you have just one shot at life, why not LIVE each single moment? Balu:Sometimes its hard--but it doesnt hurt to try! Very well said...you don't how many people right now realized such thing. Hi. My name is Bindu. Based in hyderabad. I am a novice blogger. My S-I-L Nancy has you as her favourite blogger on her page. So I checked yor page out. I must say, I am impressed. I like your style of writing and the way you attack each topic. Do check my site: www.thotflow.blogspot.com when you have the time. That was real sobering... Its so difficult to live life and feel that you have lived life. Aathira: Sorry if it upset you--maybe the next post will lighetn you up!Isn't life about moments? Bins: Thanks for stopping by--thanks for appreciating and lad you liked it.I'll surely visit you. Keshi:Hugs.I left a comment on that post too. Thinking aloud: we havent caught up for a while now!I promise to make amends.I miss the quick-hi-hello chats we used to have. It was a great post. I liked it. After completing post graduation, we - classmates - haven't met till now. I called a few of my friends and arranged for a get together in this weekend. Almost all the people - the whole class - are coming. Waiting for that day. Thanks for your post. My dad died on 2 November (his birthday) 2006. He'd had a stroke a few months before-- he was a rancher and I'd hoped he'd have died in an adventuresome way, like going off the back of a wild horse! I'm Russian Orthodox. He had his funeral in another state and I was the only religious one in the family. The funeral home director just called someone on his list who happened to be a Ukrainian Orthodox priest. I felt like angels were guiding it! It wasn't an Orthodox burial, but he put in a few things for me that wouldn't freak out the Protestants. Life is very precious. Your post brought back several blessed memories that I store in the back of my mind. Thank you. Hi P, Iagree bout living in the present. We lost our cousin a few months back . ( Paico group) he was only 45, left a young wife and 2 very small children. Has changed my outlook of life . If you feel like doing some thing good dont wait for tomorrow. Live & love all today. Thank god for each precious moment he has given you. God bless you for such nice thoughts. "Pink Dogwood:God--it moved me.One thing I never do is leave home after a fight.Always i make it a point to hug and kiss (even if i am really grouchy)--and funnily that makes the fight ok."
Am really taken up with wht ur friend said "Live everyday like its your last ..one day u r sure to be right " . Just yesterday, I lost a patient. He was 92. I went to do his chest X-ray in the morning and he seemed ok- was in critical care, but was ok. then in the after noon, they had a stat xray ordered again. i went up to his bed side to do it and the nurse said ' we may not be needing it after all - his BP is dropping and we think he will only last a few mins. we will call you if things improve'. In an hour or so she calls me and says 'please cancel the order. Mr. so snd so passed way moments ago.' As i said a silent prayer for his soul, I was reminded of how extremely fragile life can be. It is a precious, precious gift given to us. I always treasure every day on this earth- the good ones and the bad ones. Thanks ps...the day started off sad...but am already feelin better n cheerful after reading through this and other posts...thanks!